The Law Office of C. Matthew Shanks located in Cedar Park, Texas, is committed to taking care of your criminal defense needs. Attorney C. Matthew Shanks has nearly a decade of experience handling drug offenses, family violence matters, juvenile offenses, probation violations and DUI/DWI charges. A former prosecutor, Matt Shanks is familiar with both sides of the law. That means he has a keen ability to analyze the facts of your case and assist you in building a solid defense. When you walk into his office, you can be sure that he will listen attentively to your concerns and address your questions. Mr. Shanks takes the time to listen to each client and make sure that they understand their rights so that they may make sound judgments regarding their legal situation. He will give you the individual attention you deserve and be by your side throughout your defense. A criminal conviction can have serious consequences, including hefty fines, jail time and the suspension of your driver's license. Matt Shanks understands that your future is on the line. As a former prosecutor, Matt Shanks knows how to work with prosecutors to reach effective plea bargains for his clients. He also knows when it is in his clients' best interests to take a case to trial. The key to effective criminal representation is to know which course of action will lead to the best outcome for a client. He will always advocate zealously on your behalf and will never stop fighting for your rights. For a free consultation about your defense options in Williamson and Travis Counties, contact the Law Office of C. Matthew Shanks in Cedar Park, Texas. Visit our Criminal Defense Website! 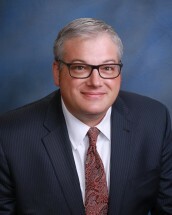 Learn about our firm and attorney C. Matthew Shanks. Learn about our criminal law practice. Have a Juvenile Offense case? See what The Law Office of C. Matthew Shanks can do for you. Have a DUI/DWI case? See what The Law Office of C. Matthew Shanks can do for you. Have a Drug Charge case? See what The Law Office of C. Matthew Shanks can do for you.